In C++, while loop is used to iterate a part of the program several times. If the number of iteration is not fixed, it is recommended to use while loop than for loop. Let's see a simple example of while loop to print table of 1. 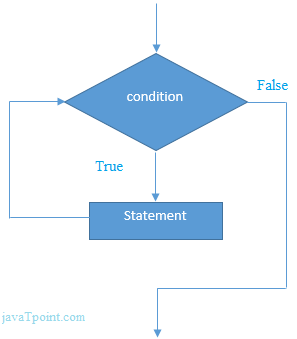 In C++, we can use while loop inside another while loop, it is known as nested while loop. The nested while loop is executed fully when outer loop is executed once. Let's see a simple example of nested while loop in C++ programming language. We can also create infinite while loop by passing true as the test condition.